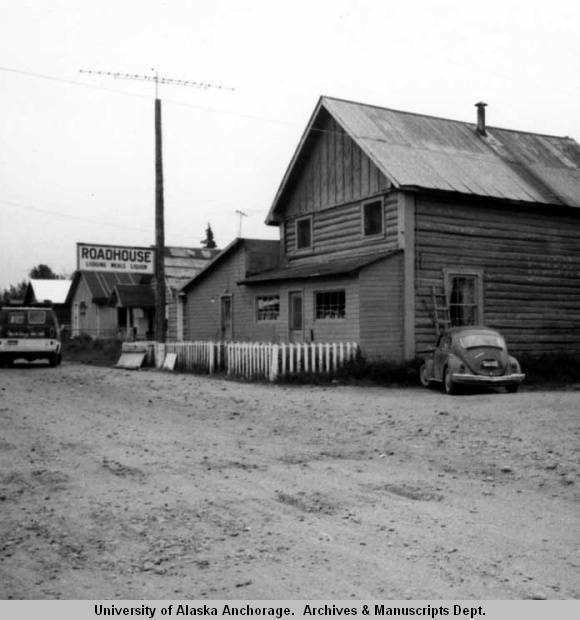 According to local historian Roberta Sheldon in an interview for Talkeetna radio station KTNA, the Talkeetna Roadhouse was built sometime around 1916-17 by brothers Frank and Ed Lee, from Michigan, who were freighting supplies to the mines in the Peters Hills, Cache Creek, and Dutch Hills areas west of the Susitna River, in the southernmost foothills of Mt. McKinley. Type of construction: Log with corner boards and vertical board and batten. Description: Rectangular two-story log with gable ends, medium gable roof, 1-story closed frame verandah across front end with shed roof, multi-paned rectangular windows, rectangular door, 1-story frame wing on side, shed roof. 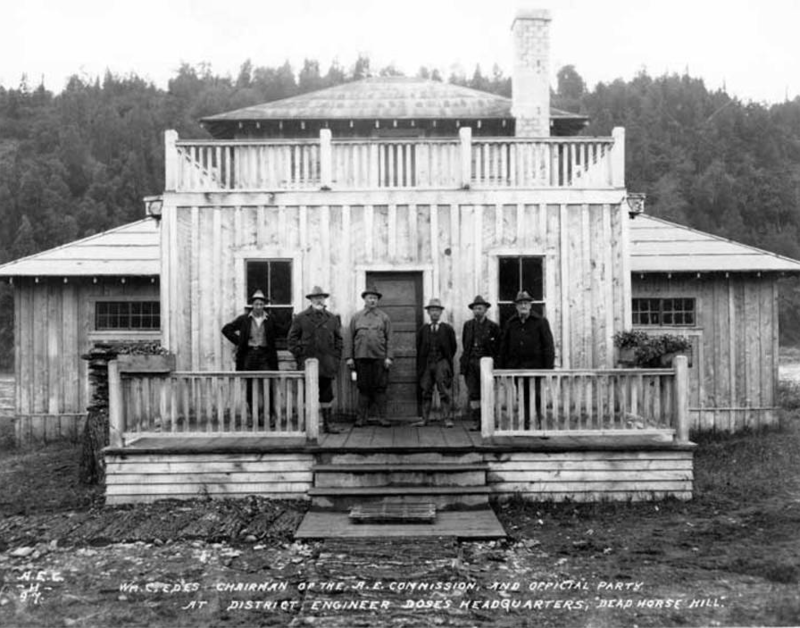 Date of construction: 1917, built as a residence, in use as a roadhouse since 1944. 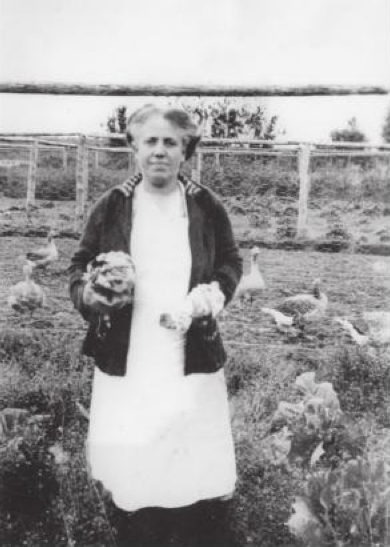 Talkeetna’s first businesswoman, Isabella “Belle” Grindrod Lee McDonald, arrived in Talkeetna in 1917 and married Ed Lee, Frank’s brother, a year later. 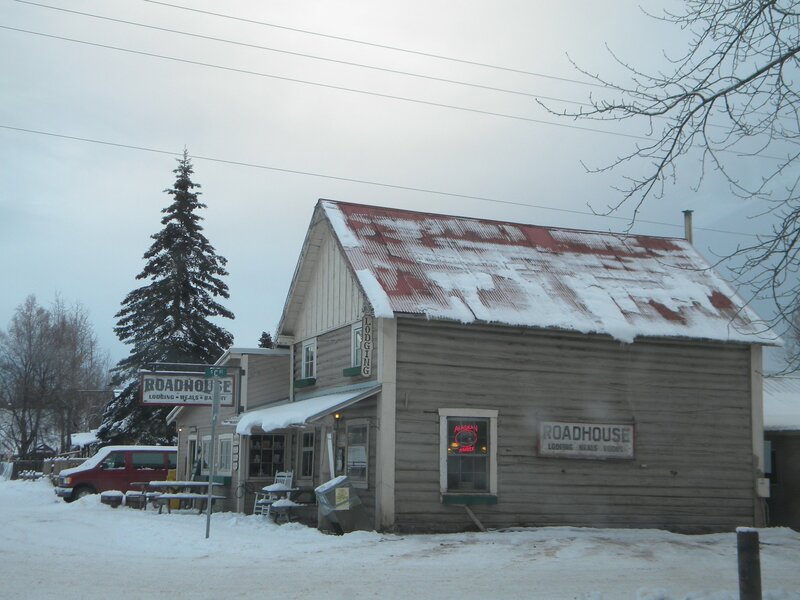 With her brother-in-law Frank Lee as her head freighter, Belle developed the Talkeetna Trading Post, a freighting service, stable, blacksmith shop, and the beginnings of a roadhouse, located half a mile west of the present-day Talkeetna Roadhouse, at the edge of the river. 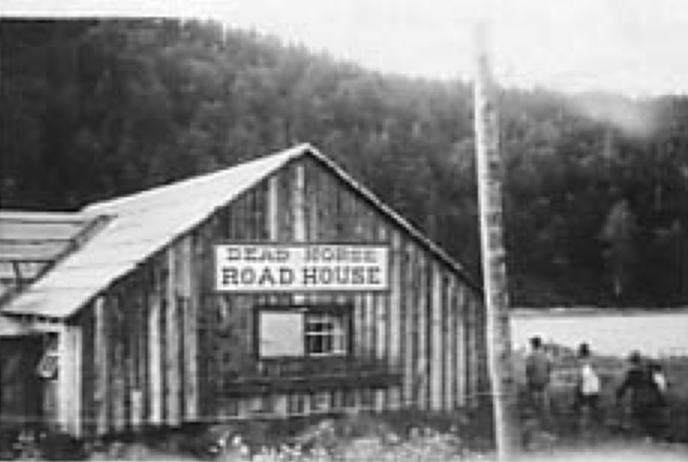 After Ed died in 1928, Frank and Belle continued the freighting business together, and at some point the precursor of the current roadhouse came into service. 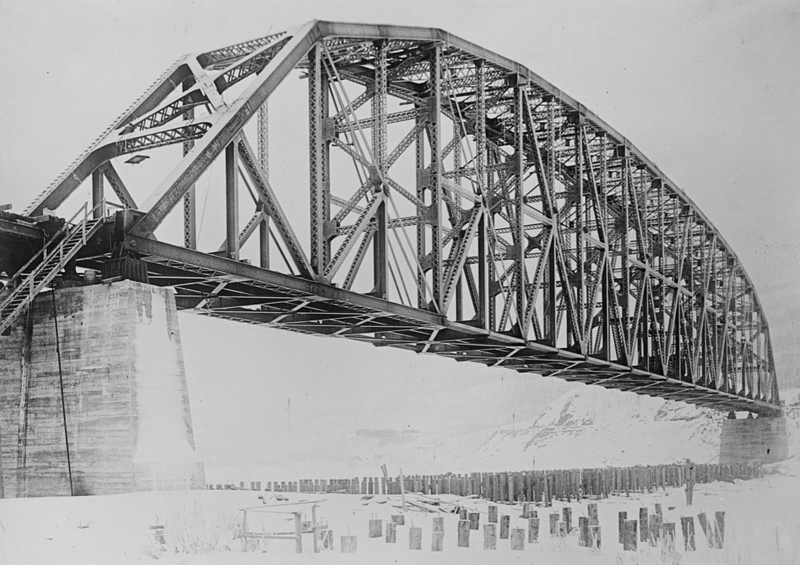 Photo taken between 1969 and 1979. 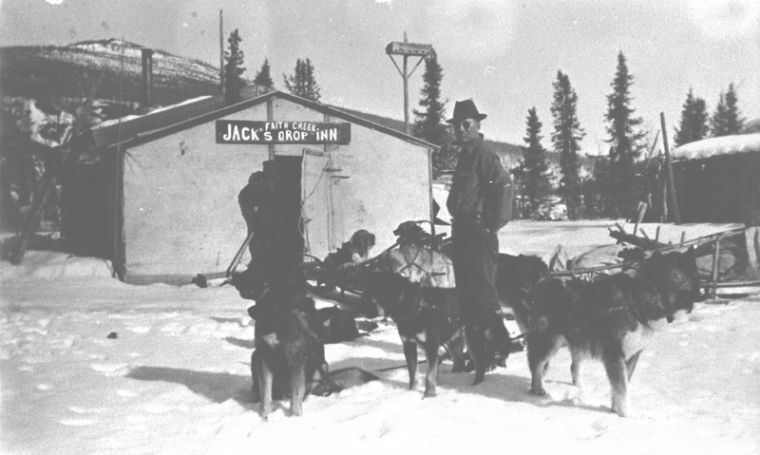 Christine McClain papers, Archives and Special Collections, Consortium Library, University of Alaska Anchorage. 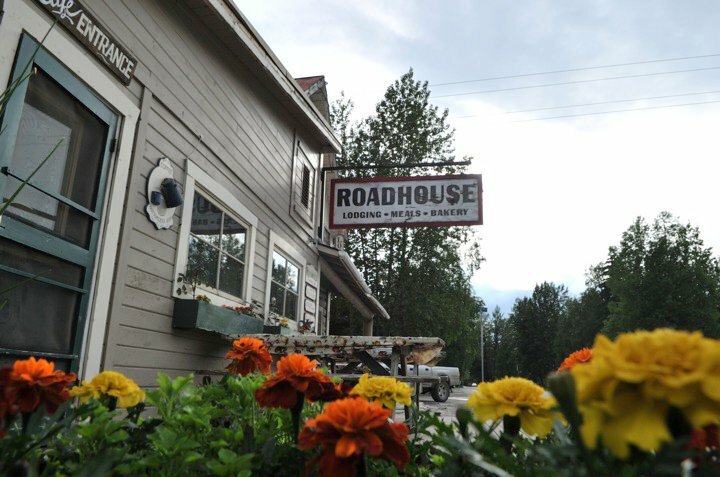 As was tradition at Alaskan roadhouses, dinners were served family style at a long table, with heaping platters and bowls of food passed around between strangers who served themselves. The Closes ran a tight ship: Eggs were always scrambled, only vanilla ice cream was available, and the only breakfast meat available was thinly sliced ham. No exceptions. 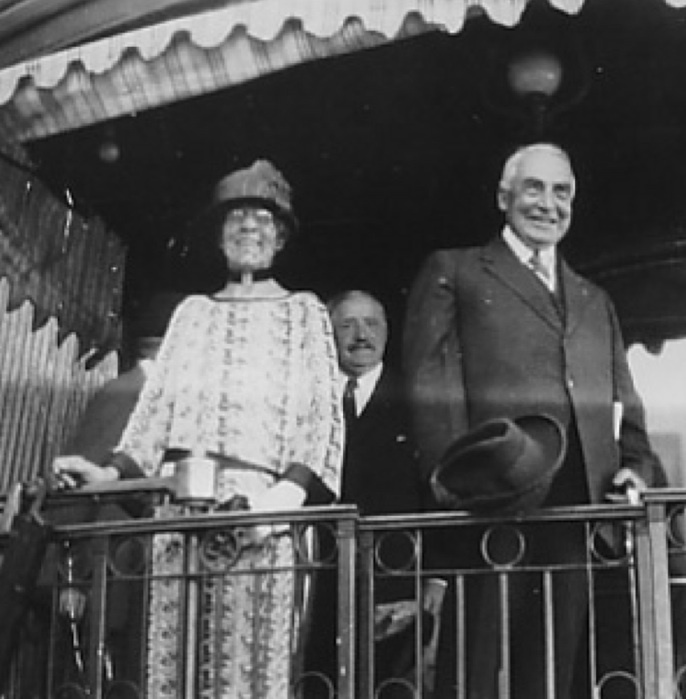 Reservations were necessary for dinner, and punctual arrival was expected; Carroll was known to lock the front door once guests were seated and late arrivals could eat elsewhere. 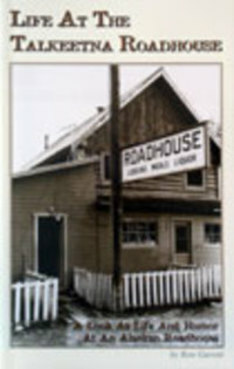 The Closes retired in 1978, and the Roadhouse went through good times and bad until 1996, when it was purchased by current owner Trisha Costello. 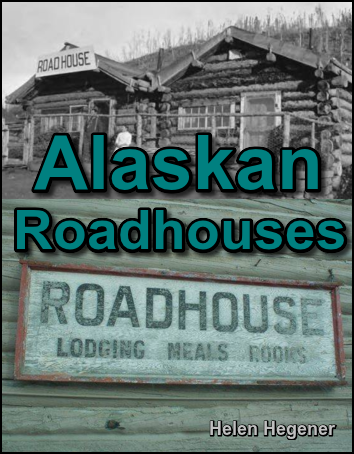 Trisha brought with her an appreciation for the history and tradition of Alaskan roadhouses, and she worked hard to create an establishment which combined the best of the old with new upgrades and memorable hospitality. 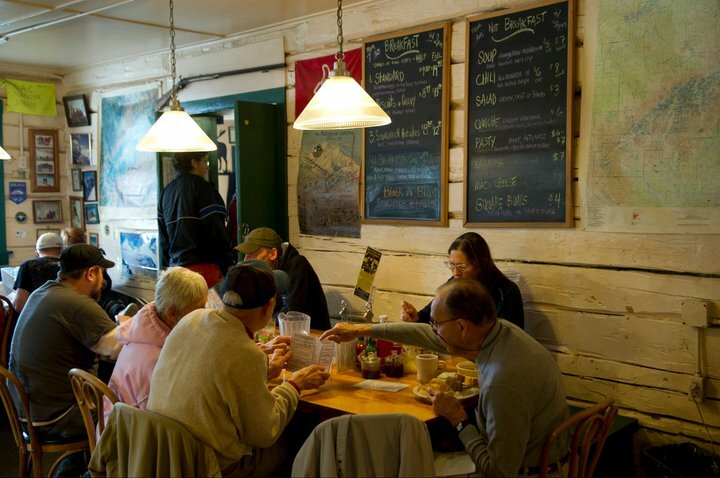 Dinners are still served family style, still with generous portions made from scratch, and the Talkeetna Roadhouse is still a gathering place for local friends and travelers passing through. 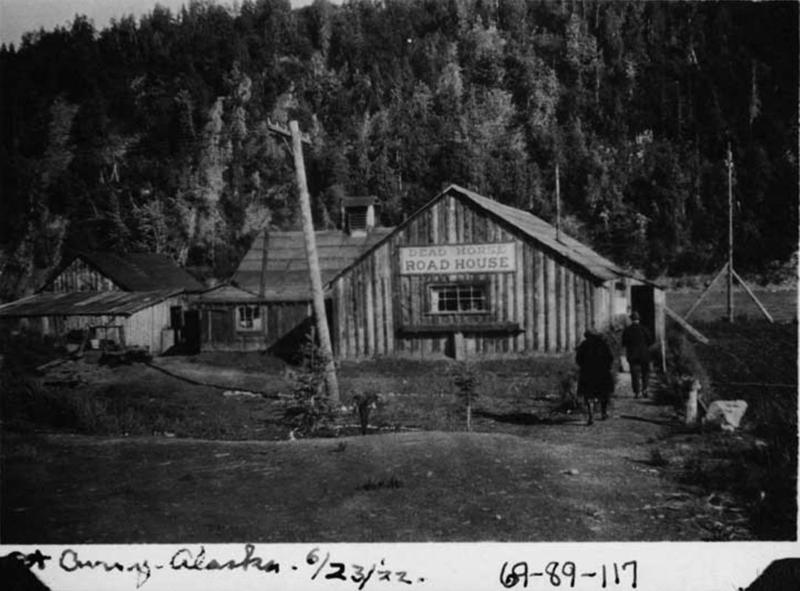 This entry was posted in Parks Highway, Roadhouses, Videos and tagged Belle McDonald, Carroll and Verna Close, Frank Lee, Nola Campbell, Nola H. Campbell, Ray Bonnell, Roberta Sheldon, Ron Garrett, Sketches of Alaska, Talkeetna, Talkeetna Cronies, Talkeetna Historical Society, Talkeetna Roadhouse, Talkeetna Trading Post, Trisha Costello on April 23, 2015 by Helen Hegener. 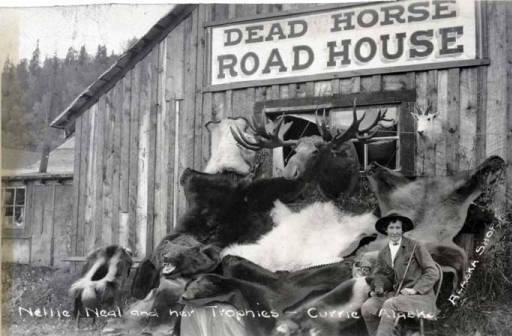 This entry was posted in Videos and tagged Alaska, Alaska Nellie, Meier's Lake, Nellie Neal Lawing, Rika's, roadhouse, Talkeetna on June 25, 2014 by Helen Hegener.